There’s something very memorable about a backyard wedding. Inviting people into your home at its absolute best is one of the perks of having a backyard wedding. We all want to show off the place that we are building our lives. A wedding is the perfect occasion to invite all of your loved ones to gather at your home. The décor and ambiance will WOW them and make the entire wedding feel more personal. Backyard weddings can sometimes invoke the wrong idea. A backyard wedding was once considered a last resort for couples who are low on funds, and with little time to spare. Now, backyard weddings can incorporate all the essentials in accordance with a couple’s budget. For example, a tent is necessary in the case of inclement weather, but fabric draping of the tent may not be necessary. Your budget should always be respected when you are making decisions. You can pick and choose the items that are most important to you, and lose the rest. RentALL Affairs specializes in assisting couples in planning backyard wedding. Look for an event rental company in your area that offers both wedding rentals and day of services. 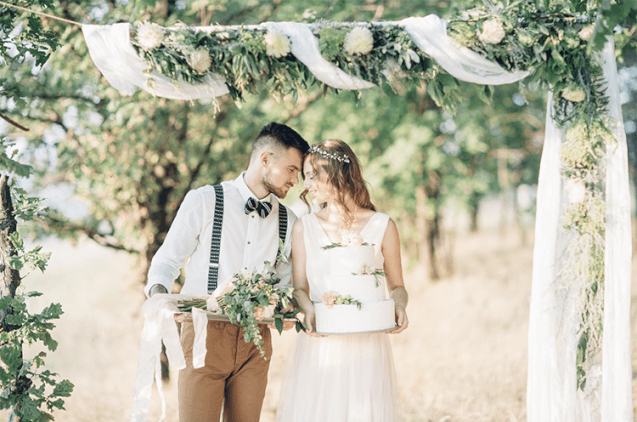 RentALL Affairs is located in Bucks County, Pennsylvania and prides itself on being able to offer wedding rentals, planning, and day of services. Including coordinator, set up, and cleanup crew for a stress free and enjoyable day. One company offering all of these essential items is a must have! Checkout these backyard ideas for inspiration!! !